Are you looking for a great Easter DIY craft to do with the kids that involves food? 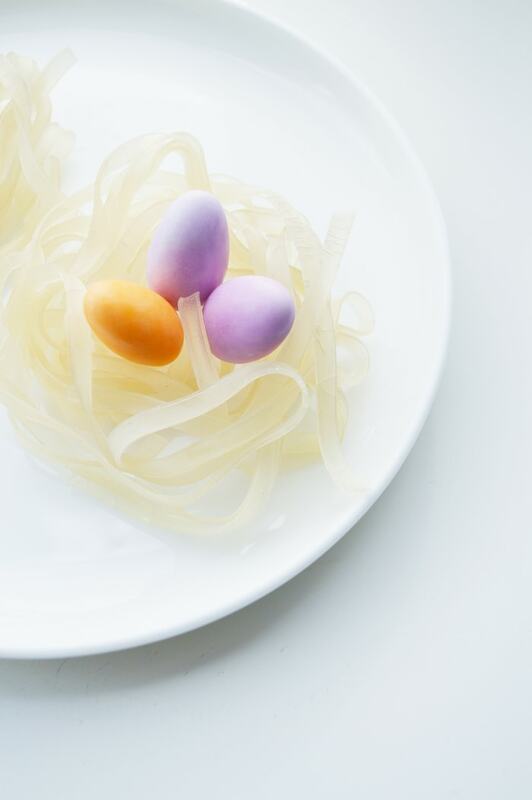 Easter nests are perfect and adorable and oh so sweet! I love projects that don’t require a lot of ingredients and fuss. 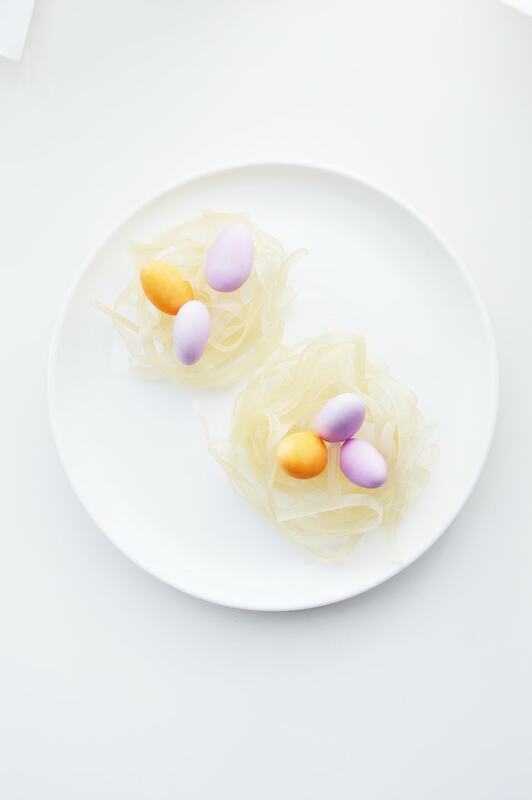 I am someone that literally needs it as simple as possible and these Easter egg nests are just that. Here are the full directions for this Easter DIY craft. Get the kids involved or do these on your own and add some festive decoration to your party table-scape. There is a little bit of prework that goes into this recipe. But I think the results are absolutely worth it. And as a note, the rice noodle has the right LOOK to them. 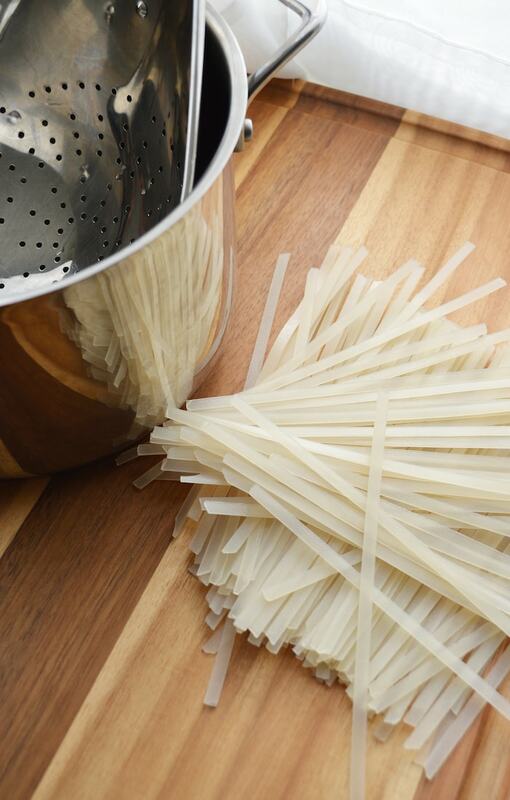 The traditional spaghetti noodle that you are used to making for your family will turn up a much different color just in case you were thinking of substituting. Rice noodles can be found everywhere these days. Also, if you don’t feel like melting candy onto almonds, you could always look for treats that already look like this. During Easter, there are PLENTY of treats that are already in this state. Bring a large pot of water to a boil. 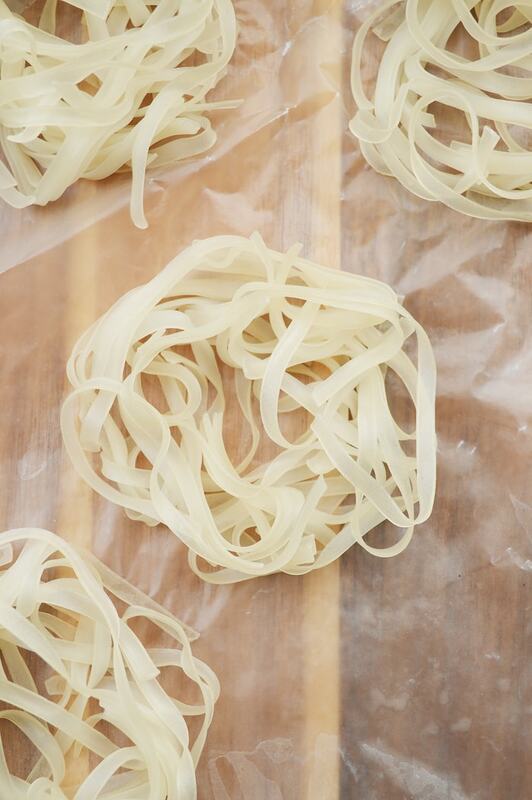 Cook the noodles until they are done enough to easily bend and twist around. You’ll want them to still be a little bit firm. Meanwhile, line a baking sheet with parchment paper. 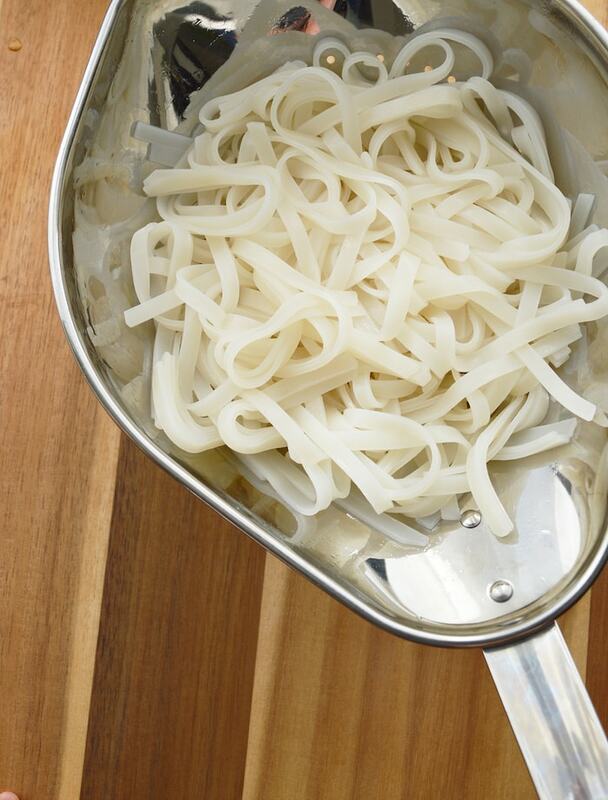 When the noodles are done strain and give a quick rinse. Swirl small clusters of the noodles together into nest shaped bowls. Bake in the oven for about 20 minutes or until the moisture has evaporated and they nests set in a solid piece. Let cool before touching. While the nests are baking in the oven you can work on the dipped almonds. Line another sheet with parchment paper or wax paper and set aside. Using one chocolate color at a time, follow the package instructions for melting the wafers. Dip the almonds in 1 or 2 at a time and then place on the lined sheet. Using a fork to lift the almonds out will help keep your fingers clean. Let the chocolate fully set before touching. Make sure the chocolate has set and the nests are fully cooled before placing the almonds into the centers. These are a great make ahead project as the nests will last a very long time and the dipped almonds can be placed into them as soon as you’re ready. How CUTE! Can you stand it? This project would go great with the Carrots in Mud project I posted a few days ago, right? What do you do for the holiday with your kids? Do you have a lot of Easter DIY crafts set up or are you a one in done kind of family?